Tired of remembering which sheets are for which time of year? 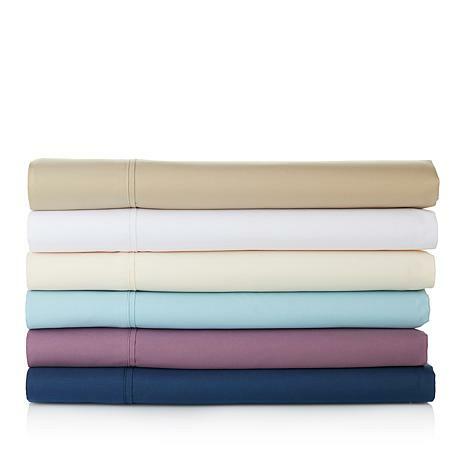 With this set of all-season sheets you can clean out your linen closet. This set not only helps you stay cool and dry by wicking away moisture during the warmer months, the fiber structure of the sheets provides insulation during the colder times. 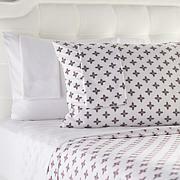 Finally, you get to use your favorite sheets year-round. So far, these sheets have been great. Haven't had any of the usual issues associated with microfiber sheets. Do wish that the elastic in the bottom sheet was thicker and stronger. 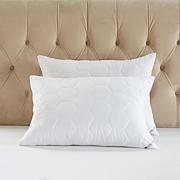 Corners don't stay in place with these sheets. Love the color. They are so soft and wonderful to sleep on. I am thinking about getting another set. Sheets washed and dried well and look beautiful on the bed. Mine are Aqua and it is a really pretty color! They are very soft! Love the way they look feel and wash! Own them in 2 colors.